"Each side, each stone of the venerable monument is a page not only of the history of the country, but also of the history of science and of art". 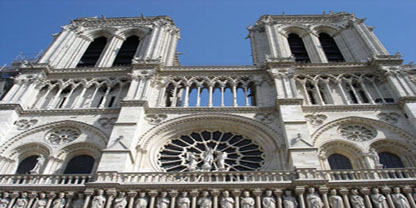 Victor Hugo's words written in 1831 as part of his voluminous historical novel Notre Dame de Paris, which introduced the famous hunchback Quasimodo, ring as true as the bells of this twin-towered cathedral. 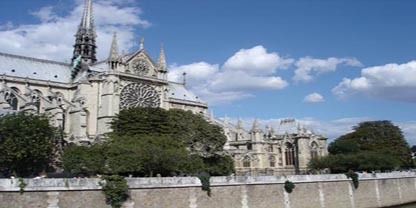 Notre-Dame occupies a site that goes back to early Roman times, when Lutetia was concentrated on the Ile de la Cité, the heart of the city. Further proof of Notre-Dame's importance is the fact that it is used as point zero for measuring distances from Paris.